Solar activity was reached low levels this period. A total of seven low-level C-class flares were observed through the week, four of which were from Region 2535 (N05, L=124, class/area=Hax/60 o 24 Apr) and the remaining three were from Region 2539 (N16, L=084, class/area=Eai/100 on 01 May). A pair of coronal mass ejections (CMEs) associated with flare activity from Region 2535 were observed in LASCO C2 coronagraph imagery at 28/0216 UTC and 28/0636 UTC, but did not impact Earth as anticipated. The greater than 2 MeV electron flux at geosynchronous orbit reached moderate levels on 25-30 Apr and was at normal levels on 01 May. Geomagnetic field activity was quiet on 25, 28-29 Apr, quiet to unsettled on 26-27, 30 Apr, and quiet to active on 01 May. 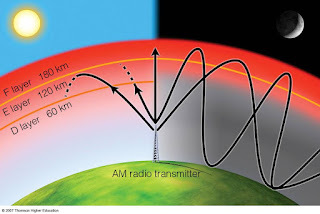 Solar activity is likely to be low with a slight change for M-class flares (R1-R2 (Minor-Moderate) Radio Blackouts) on 03-16 May due to return of old Region 2529 (N09, L=342) which produced an isolated M6 flare (R2-Moderate Radio Blackout) last rotation. Very low to low levels of solar activity are likely through the remainder of the period. The greater than 2 MeV electron flux at geosynchronous orbit is likely to reach high levels on 11-13 May with normal to moderate levels expected for the remainder of the outlook period. (CH HSSs). Quiet to unsettled field activity is expected throughout the remainder of the period.